Aaryan, a simpleton boy from a town, dreams big and is always too eager so as to let the life unfold at its own pace. But life takes him on a journey, on the roads riddled with many crossroads and Aaryan is forced to choose a turn to continue on his journey of his life. These turns are the turning points. Life for Aaryan like everyone else is the end result of the turns he took and the paths he chose. The choices were not always his as sometimes fate made the choices. 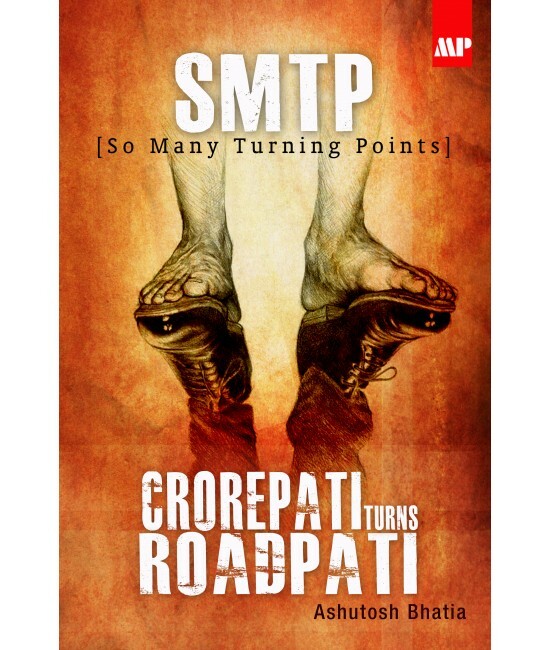 SMTP – Crorepati Turns Roadpati, takes you on a journey along the roller coaster ambitious life of young Aaryan. 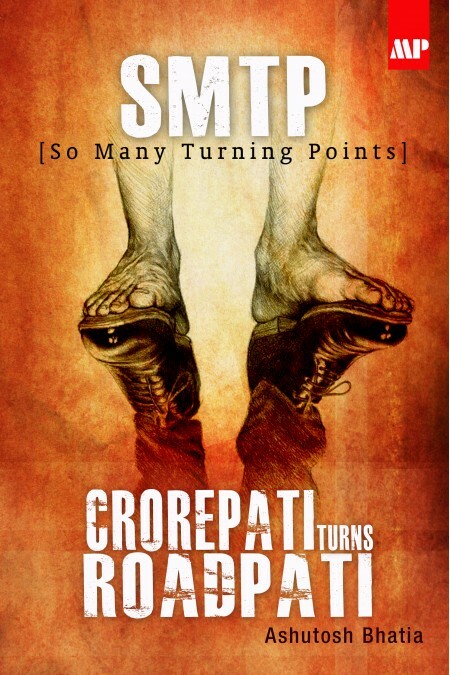 Aaryan sees his dreams becoming a reality when he turns a Crorepati. But, life maintains the balance something like yin & yen where all up turns filled with triumphs are followed by horror filled down turns forcing Aaryan to be a Roadpati. Ashutosh Bhatia is an established IT entrepreneur hailing from the Pink City Jaipur. An avid reader from his early years, Ashutosh has been contributing to various periodicals published during schooling at St. Xaviers, Jaipur. Ashutosh is a multitalented person, who along with his exploits in the IT Sector had been involved in many extra-curricular activities throughout his school & College. After completing his Masters in Computers, he started his venture in IT and has since ventured into other businesses as well. He is a great story teller and would take you on an impressive ride through the life of his characters.